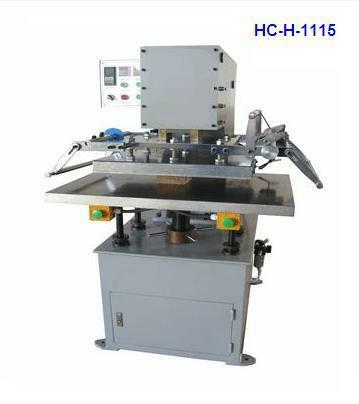 Usage: Automatic hot stamping machine can print paper, card, invitation letter, wedding card, folder, plastics, leather, book cover, gift, wood, film, electronic products, etc. Large pressure makes suit for gilding and emboss on leather, plastic, wood, paper and metal such flat things. 1) Foil feeding and collecting automatically. 2) Print pressure, temperature, speed and head height are adjustable. 3) Stamping head up and down can be fine adjusted, to ensure precision printing. 4) The stroke of worktable is adjustable which convenient to print different length of artwork. 5) Rubber roller gets uniform heat transfer for large print size.